The addictions field continues to grow and is expanding beyond the area of substance abuse and substance dependence. Process addictions are now an integral aspect of addictions treatment, diagnosis, and assessment. There is a gap in the literature related to process addictions which impacts counselors and clients due to lack of literature and knowledge on this new area. It also is hypothesized that there is a gap in continued education for incorporating treatment and assessment measure into clinical practice. This initial study was conducted to initiate an understanding of levels of knowledge counselors have in diagnosing, assessing and treating clients suffering with process addictions, indicators of where and how they learned about process addictions, and how they integrate their level of the treatment of process addictions into clinical practice. The authors provide a brief overview of process addictions, a summary of original research, implications of this study, discussion, and recommendations for future research. 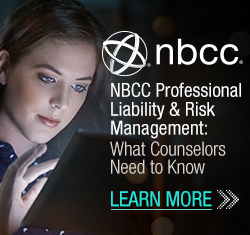 To date, few scholars in counselor education have attended to the processes and impacts of introducing business-related concepts within counseling curricula. The authors describe the development, implementation and evaluation of a graduate-level course titled Entrepreneurship in Clinical Settings wherein students were tasked with producing a business plan for their ideal clinical practice. Implications and recommendations are explored. framed in terms of standardized policy. 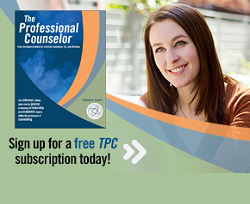 The professional identity of a counselor educator develops primarily during the individual’s doctoral preparation program. This study employed consensual qualitative research methodology to examine the phenomenon of professional identity development in counselor education doctoral students (CEDS) in a cohort model. Cross-sectional focus groups were conducted with three cohorts of doctoral students in counselor education (N = 18) to identify the experiences that contributed to their professional identity development. The findings identified that (a) programmatic goals to develop professional identity align with the experiences most influential to CEDS, (b) experiential learning opportunities enhanced CEDS professional identity development, (c) the relationships with mentors and faculty contribute to their identity as counselor educators, and (d) being perceived as a counselor educator by faculty influences professional identity development. 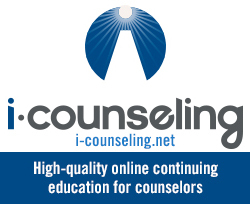 Implications for counselor education and the counseling profession are discussed.